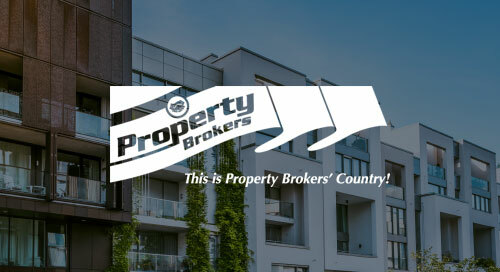 Property Brokers, New Zealand’s leading provincial real estate brand, runs its entire accounts payable (AP) process out of its head office in Palmerston North. The company was manually handling the processing and approvals of its 1,200-1,300 monthly supplier invoices (for the head office and all the North Island regional branches). Unfortunately, the process was very paper-heavy and laborious and not a good use of time or resources. Each invoice was scanned and emailed to the right branch or department for approval, and depending on the approval hierarchy, would sometimes need to go through as many as five approvers in the company. Each recipient printed the invoice, checked and authorised it for payment, applied the correct finance code, then signed and emailed back the re-scanned invoice copy. The accounting team at the head office would then print it out again and match it against the original invoice, before entering the data into the company’s Accredo accounting software. After ticking the invoice off on the master list, the invoice was finally filed. This time-consuming process was both inefficient and error-prone. Data entry errors and payment duplications were numerous and the accounting team lacked real-time visibility of where an invoice was in the approval/payment cycle. It also made invoice handling slower and costlier than necessary. The company knew it had to improve its overall invoice management process through automated capture of invoices and electronic matching and routing for approval, as well as reduce time and costs associated with manual matching, distribution of invoices and keying-in of information. It was time to modernise. Lee Waller, Property Brokers’ financial controller, was keen to find a better way to manage incoming invoices and expense claims handling. “I wanted an automated, simpler, faster and less labour-intensive system,” he said. So, the search was on. Property Brokers drew up a list of requirements and asked four potential partners to submit proposals. Fuji Xerox New Zealand recommended Esker’s Accounts Payable automation solution as the perfect fit with the business. And, delighted with both the affordability and functionality of the solution, Property Brokers agreed. The Fuji Xerox implementation team worked closely with Property Brokers’ finance team to configure Esker’s solution to reflect the company’s internal processes. From day one, Property Brokers were impressed with Fuji Xerox’s approach, which involved taking time to understand the business and get things right. The effort paid off and the go-live was a success. Automating the invoice and expense approval process delivered instant results. The new level of consistent invoice coding provides an accurate picture of what the company is spending and where. Esker also gives branch and department managers a clearer view of their running expenses, which helps them eliminate unnecessary overheads. Esker captures invoices from emails and uses intelligent Optical Character Recognition (OCR) to extract data from header and line level detail. It provides users with a friendly interface for invoice review and coding, a workflow engine to handle multi-level approval, reporting with dashboards, as well as archiving of images with the audit trail for further retrieval. In addition to supporting Property Brokers’ technology strategy, Esker’s cloud-based solution makes invoice and expense information available to managers across New Zealand. Because invoices are now entered into the approval workflow as soon as they arrive, reviewing them has become a more manageable task for managers. Thanks to AP automation, invoices are no longer scanned, printed, filed and manually matched. The AP team has been able to focus on more value-added tasks and keep pace with the growing business without the need to recruit more staff and monthly invoice close-off date has been reduced. success when they started receiving positive feedback from business users.